This is the second of Eye’s quarterly evenings at the Fleet Street venue, the scene of several previous Eye-associated events, including the Music Design conference in 2010, last year’s ‘Out of the Box’ archive night and the first Type Tuesday with Mark Porter – ‘The magazine now arriving at platform 15’ on 12 March 2013. 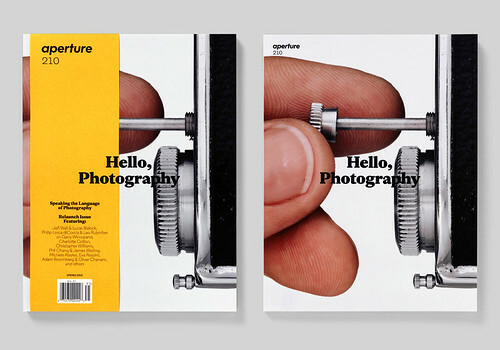 Cover of Aperture magazine, designed by A2/SW/HK. 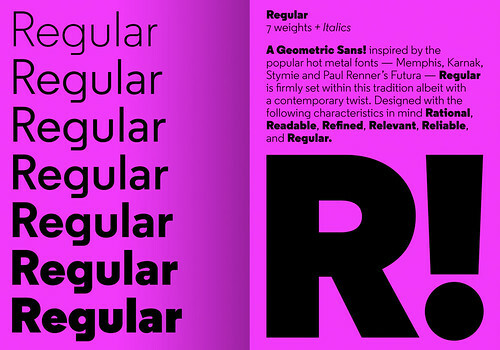 Regular type family, designed by Henrik Kubel for A2-Type. 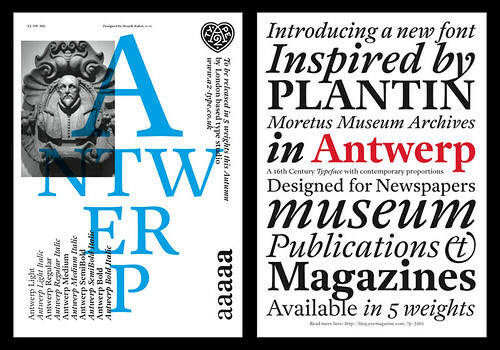 Antwerp designed by Henrik Kubel (used by Simon Esterson in Eye 82). 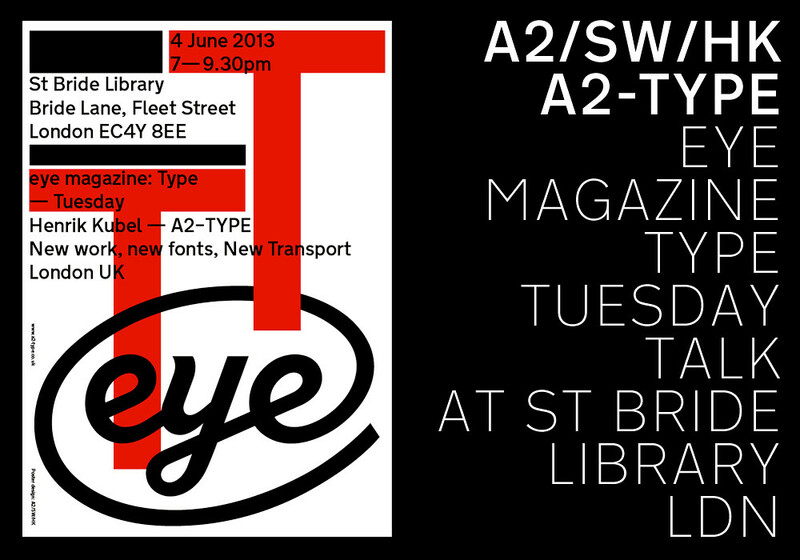 Eye magazine presents the second of four informal gatherings about design and type, with contributions from Ben Terrett of Government Digital Service and other special guests who have worked with designer Henrik Kubel. London EC4Y 8EE. From 7-9.30pm. 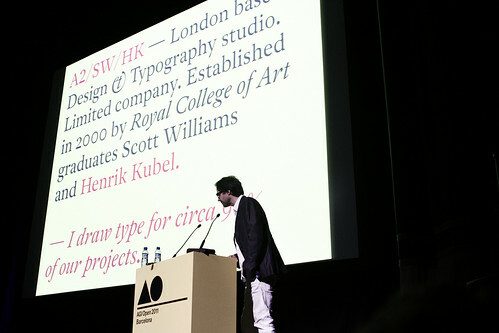 The next Type Tuesday will be on 10 September (see below). 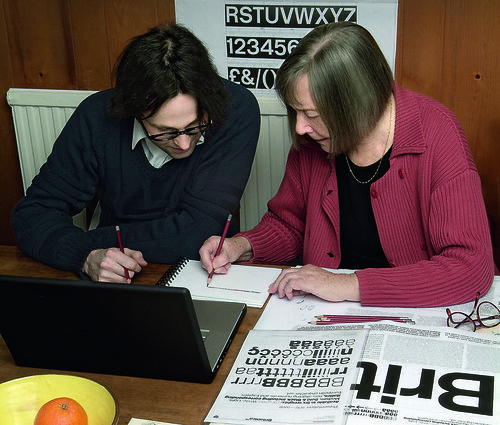 Henrik Kubel and Margaret Calvert working on the digitisation of New Rail Alphabet (originally called Britanica), 2009. Photograph: Anthony Oliver. See ‘Britain’s signature’ in Eye 70.